When you’re trying to shift to a more positive belief, don’t allow yourself to get discouraged when you automatically react with the same old defeating thoughts. Acknowledge them; feel them. Then, remind yourself that simply catching yourself in the middle of your same old-same old reaction is a step in the right direction. Then, hit the reset button and try again. You’re aiming for positive growth…no matter how small. When you get discouraged and stay stuck in those thoughts, you take a step backward. You forget about the process and you end up bitter. 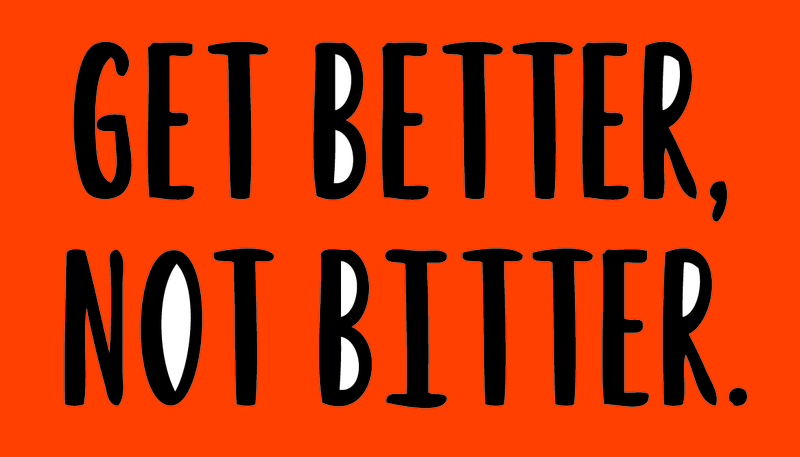 Don’t get bitter…get better. One small thought at a time. I’ve missed these. Glad your back! I’ve missed these as well! Blessings!